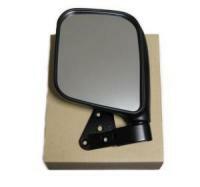 Replace your broken passenger side (LH) door mirror with this nice made in Japan replacement. Fits U42T/U41T series Minicab Trucks. Note* Color Black Only. For optional chrome email your request.